So what are the alarms on your phone called? Mine are named "alarm" and "alarm" and "alarm." I KNOW. Super creative. 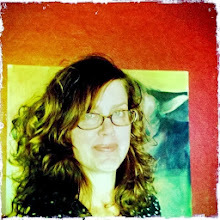 But sweet reader Rebecca -- remember she visited Wilshire and Fairfax without me, and then with me, this past summer? -- has taken a far more charming route in the alarm-naming department. 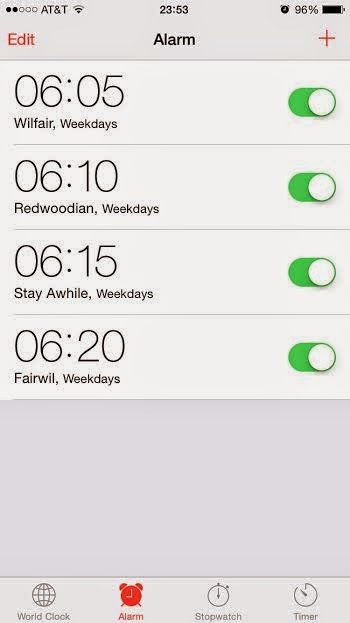 She recently mentioned that her four morning alarms are named Wilfair, Redwoodian, Stay Awhile, and Fairwil. Rebecca! You are too much. How cute is this?